I always must awake well first! How about waking up and getting right away aproblem explained to you with a kind of despair by your hubby??????????? Not my kind of thing! I like to get up, take FIRST my coffee and sit for a little while, to get really awake. Perhaps I am having a bit of "morning sickness"as we call it here. Just give me a bit time to wake up and then you can talk etc etc. So this morning Jan was sneeking through the house looking for something. He wanted small batteries, but looking on places I don;t have them lying around. For what?? He was almost in panic, because the remote control of the digital tv modem didn;t work. He couldn;t change the channels anymore. Oh boy, only the out and on worked. Ohh, ohh, I thought, there we go. We are so lucky persons sometimes, that all kind of things don;t work as they should. We changed batteries, no progress. Finally I called the supplier, got them real fast on the telephone, and explained. He advised me to take of the current for a few seconds and then put it back on. We did so and ohhhh miracle, it worked again!! !Glad that is done with, otherwise I had to listen all week-end to Jan, groaning etc about the new stuff, LOL. What a way to start your Saturday with! Today I have another Valentine kit for you, not really in Valentine colours I think, but it's nice to have a change. I know, there are loads of Valentine kits around now, and still coming on for the next week, but this one will definately be the last one I make this year. Its'named "Love for Always" and hope you still have some space for it on your puter and some pics to use it with. A very relieved person is wishing you a good Saturday with lots of fun! Thanks for your wishes to Jan. He doesn; t understand it completely, but he had to smile and says he is more known abroad than in his own town! We had a fine day, had a real nice dinner, I made a trout and potatoes in the oven and some veggies and way later in the evening we had some little breads out of the oven with different kinds of French cheese, yummie! So that was another birthday. Soon a next one is coming up, from little Séverine. Have to go shopping for her birthday present next week. with the theme Renaissance. If you want to see already something of it, you will have to go to http://silversnowyraven.blogspot.com/. She is sneeky, LOL, she always works ahead! But what a marvellous and awesome kit she made!!!! We will have to give our utmost best to even get close to it. So you know what I shall be busy on the next few weeks, among other things. And perhaps they will cut me in for the daily download for March, if so, another job to work on. It depends if they have enough designers availible for that month, probably so, but I offered myself as a kind of lifesaving line,LOL. Today an all different kit. In bright and shiny colours, in fact the traditional colours for the Mardi Gras holiday. It is named "Mardi Gras Marsquerade". I hope it will be a bit useful. Now I will first post this kit on a few forums and then I will start on the new challenge kit, will be a hard job but I have time. However, when I start a kit, usually I want to finish it as soon as possible, sometimes, I let it be for a day to get a bit of a fresh look on it, but then I continue. I am curious how long this one will take to make, LOL. Have a fine and nice Friday, I know of a few people with major computer issues, I hope it will be over for them soon, because nothing is so frustrating than having a computer that doesn;t do what you want to and not working along when you want to make designs. ! Yes, today is the GREAT event that Jan is having the same age as me, cause it's his birthday today! We are not having a big party or anything, but I will make him a nice dinner today and he can be in charge of the remote controle of the tv today, LOL. I bought him a very dull present, but something he really will enjoy. A pair of slippers, very warm ones, cause he' s having easily cold feet the last few months. And further on it will be just another day although the weather is celebrating too, a bit. At least the sun is shining this morning. That's about all the news from today. But because of Jan's birthday I will offer you a nice(I think) kit, named"Love for Vintage". Yeah another one, but it's so nice to make those! Some of the stuff in it came from http://inspyretash-stock.deviantart.com/. 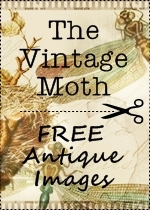 I already mentioned this site a few days ago, because of her wonderful stock of vintage, of which a lot is for unrestrickted use. Isn't that kind of her?So I hope you will like this kit as much as I liked making it. It was a rather long shopping adventure yesterday, doing all the round, but it was good to be outside. But although there was a tiny bit of sunshine, I think it's time we really get some serious sunshine on our body. That would improve our condition a lot, I believe. Still I think we have to be patient, it is't yet the time for it, bhooooohoooo! Therefor I have a small kit for you today with a bit of spring feeling in it, named "Butterfly Valley". I almost have the vintage kit for you, and I already made a St.Patrick's day kit and a Mardi gras kit. Yes, bit early, but why not? And what to say about the slideshow on top of my blog????? All thanks to Snowy, who provided the code and did the work of making the slideshow! But it is nice that you can see what we have made with a team as daily download for next month. So if you like it, you will just have to subscribe free to the forum ( you know, link is in my sidebar) and you can grab it. Hey, is that a GOOD reason to join us or not??? 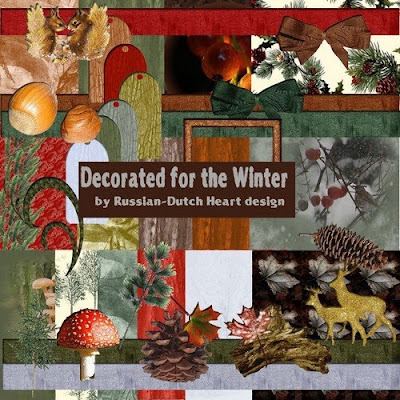 I suppose I soon can post also the colour challenge kit from December, I made for Magickal Scraps. I can already give you the preview from t, so you know what is in the storage for you! I am now waiting for Snowy to give us the colour scheme for the February colour challenge, so that I can start on that too. Theme will be Renaissance, nice I think. Okay, here is today's kit, have a bit fun with it. It will be probably good just for may be 2 layouts, but sometimes, you just need that. Have a fun day! As I am feeling lot better it is time to go out again, it;s a necessary thing to do to fill the storage again. So it's running time again today(but I will take it a bit slower) for the shopping. Hmmm, one of these days I willl have to spend some time on looking around and bying a little present for Séverine, who will have her 7th birthday on the 8th of February. So I still have time, ut it's difficult to find something nice. She already has such a stash of toys and games, but I must say, she also is happy with a little present, always can buy her stickers, or some colouring stuff, and now she is in for more creative stuff, so probably I will search in that. You have such nice packs for children to make their own jewelry and so, and she likes being busy with her hands. But first we have to deal with Jan's birthday on the 29th of January. No big presents, we banned that already for a long time, but I should be able to make us a bit special dinner. Might as well look for something today, to have it in the fridge. Oh, suddenly Brodski is finding back his youth! You know we had that parcel from Poland and in it there were a few toys for our cats too. One toy mouse in particular is very much loved by Brodski. It can lay on the ground untouched for days and suddenly he spots it again and is throwing the thing all through the house, in the air and such. Amui=sing to see, you know. And just now he discovered it again. As he finds it on the most unexpected moments I am always too late to get a good picture of him in action. Well, now the freebie for today. I made you a kit of candles, perhaps they are useful to make a nice layout of a "in memory"page? I named it "Candlelight to Guide Free Souls"and hope you can be creative with it. Have a nice day, and till soon again. Is there "time" on sale? Still a little time left before to start out again in the garden, I am already in a kind of panic! Why? I spend so much time on the computer to keep up on things, the housy things just enough to have the idea it looks allright, that I am wondering how to save time for the garden work! It looks pityful now in winter time, a lot will recover by itself, I know, but it has to be cleaned up, replanted a bit, lot of pruning to do and then I also want to buy myself a new program for the designing and learn how to handle that.! Anybody out there who can sell me some extra time????? Well, as always it will all come to it;s place, as say they say, but Jan already started to push me yesterday, saying that soon I had to do something about the garden and that we had to do this and that in the house, etc. No saying it wrong, he said I had to do also this and that! Wow, men are so easy in that, always saying we women have to do this and that, and when I answer: "yeah, I know, but I cannot do it ALL by myself"thay looks astonished and say:"well, I can do some things, but most of it it's up to you, cause you want it to do it your way, and I am just bothering you, as always". Something like that! I know he will help when time is there, but it's always (almost always) up to me to start with something and then kind of reluctantly the men try to come to help. In this household it is like that anyway! Probably I spoiled him a bit too much in the beginning, LOL!!! Although yesterday, without me saying anything he dusted the room and even did a hoovering, wow! Enough complaining about the men I think, let's go to the freebie for today. For change one in a bit darker colours, in a native American theme. I named it "Chief's Spirit".Yes, I stumbled upon some material for it and just made this one. May be you can use it, who knows? Soon I will have to start on some kits for some holidays for March and April I think, to be ready in time. Yes, you see, we "designers"always have to plan in advance, hahaha. So have a nice start of the week, I will just take one more day a bit easy, muscle thing almost over, so give it a day more rest and hopefully it will be gone, whoopeee! Oh, my, I am late on posting today. But it has a reason. When I started the computer I first wanted to search for some brushes or so so I went to deviant art, where you can find a lot of things with unrestricted use. It takes just some time to browse everything! I did have a few wonderful finds today. But just browsing I stumbled upon a vintage source with immense unrestricted use stuff, all in vintage!!! 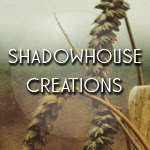 I already placed the banners in the side bar with links, it's the link of http://inspyretash-stock.deviantart.com/. And she also has a blog on this link http://inspyretash.blogspot.com/. When you use her stuff she asks to mention her somewhere, I can understand that very well. But gosh, can I do a lot with that. I am very eager now to start on a new kit with stuff I downloaded from her. So I suppose you can expect shortly another vintage kit from me. Hope you don;t mind. And oh, was I suddenly unhappy yesterday evening. I am still couching from the cold, okay, it will pass a some time, but I suppose I did it with too much force and suddenly one or two muscles protested and seem to be stuck in a funny way. Anyhow, now if I take a too deep breath or have to cough, the right side of my body close to the ribs, is protesting. This morning it is already a bit better, but boy, Jan and I are "blessed"with all the unconveniences from that d...d flue. Don;t have too much pity on us, we will certainly survive, but it is all somewhat uneasy etc. Well, just focus on the designing and that will certainly help. Today I have a little kit in oriental style again. Snowy must think I am copying her, because not long ago she made a wonderful oriental kit, go have a look at it on her blog, http://silversnowyraven.blogspot.com/. You will see I am not talking rubbish! But I really wanted to do something oriental again for some time and suddenly I just found a colourscheme I liked and then made it. It has a simple name"Oriental Mixture", because I really made a mix of Japanese and Chinese things. (But I do LOVE the cherryblossom bear in it! )Well, perhaps you can do something with it. Now I am going to play with the vintage stuff, making backgrounds and brushes etc. and hopefully can start on making a kit also. Have a nice Sunday, mine is filled with the computer as you can guess LOL. Hope you are all feeling well! Here it is going better every day now. Thanks to that.! Yesterday I didnt do too much. Well, I was busy on the computer, don' t misunderstand me, but I just could finish the kít I was working on and that was about it. Somehow I got stuck every time, inspiration was a bit lacking. Hope that it will be better this week-end. It was an aweful depressing day yesterday, regarding the weather. Very cloudy, lot of rain and also wid, looking out of the window you couldn;t tell what season it was, it wasn't autumn, it wasn't winter, but it surely wasn't fun outside. It is a little kit, with just a few elements( I think I was a bit lazy LOL) but the papers are still nice I think and I like the colours. So see whatever you can do with it. It's called "Misty Morning". Have a very nice day and see you around. What is it about a Friday that you always feel a bit excited about? Perhaps because it is the start of the weekend, and that always is a bit different from the rest of the week. Anyhow, today it is Friday and let's enjoy that! I had my first fresh air in DAYS yesterday. I went out, all packed in for security, of course, as it wasn't the best weather. Rainy and some wind to, but I did my shopping. And h boy, was I HAPPY to be home again after it.That d.....d cold realy eats the energy out of you! But I am glad I did it, and I just have to make two or three more purchases tomorrow and all is done. I even managed to make a little kit yesterday and made the first paper from a new one. I am eager to continue on that one, I suddenly got a flash from an idea and started right over with it. It could become a nice kit. Thanks michelle, it is a lovely award! I watched yesterday the men's figure skating and there were a few very good ones! I didn;t agree with the winner, I thought he wasn;t as good as the points of the jury said, even Jan agreed with me on that. And although he likes watching it, he is not such a fanatic in it. But there are two French boys and an Italian one, who performed amazing! That will be a competition for the World Championships! Great. After it we did some zapping to fill the time till our Italian detective started. But I had to give in at about half of it, couldn;t leave my eyes open. So I went to bed. Well, as there are some replays during the day I should be able to catch up and then hopefully I shall be able to watch the second part tonight, because it was a very intrigueing story! And on to your freebie. It is a very sof kit, named "Nocturne Nostalgique". Sounds nice, hey? Hope you can use it, I made it with pleasure. Have all a very good start of the weekend and try to stretch it out as long as possible, LOL. Now I must get rid of the last buggies in my body I think, but definately feeling better. Although..... yesterday I just did a wash and hanged it out, some other very minor things and I was already out of energy. So I have to build that up again a bit. Well, that will come soon enough. 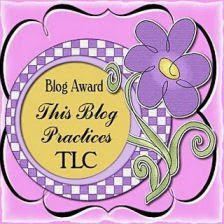 Ohhh I received again awards, this time from Rhonda, http://craftymumzcreations.blogspot.com/. I have received them already, so I will NOT do a nominating to other blogs, but it's so sweet that peaople think of you and I just had to mention it. Then I can say some of my kits do travel all over. I had another request from Jennifer, http://simplyblogitbackgrounds.blogspot.com/ if she could use them for making blog background. 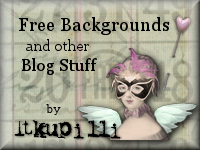 As she offers them also as freebies, I agreed and already she has a blog layout up from one of my kits. Take a look at it, she did a nice job. And already for two evenings we are watching now the European Championship for figure skating. Yesterday was the final for the pair riding, with some extra ordinary performances. Today I believe is the men's final. I love watching the figure skating. It's unbelievable what is performed on only two thin irons on a very slippery underground! And on the digital tv canal we have a special "detective"channel, with series from all countries and in the moment tere is an Italian one going on. Very refreshing style, each very different from the other, so Jan and I have filled evenings for the moment. And in between I even manage to make some kits. How wonderful. Today there is an Egyptian kit for you. It was fun to make it, already such a long time ago I did something like it. I named it"Valley of Kings"and hope you can use it somehow. Today I must go out to do some shopping, so it will pack myself in properly and do a quick running, just getting te very neceassary. That's all, folks. Have a great day and enjoy it. Happy to say we're a bit on the way back to feeling normal. I still wouldn't dance the tango at this point, but I am certainly getting better, although by little steps. At least the heap of cotton has almost disappeared out of my head, but still very quickly tired after doing just a little thing and so. The good part is that I am feeling a bit hungry again and I can eat something. The first days nothing would go in, no taste at all. So I really hope by the end of this week it might be done with. Pffffff. Yesterday evening I got a call from a friend, who wanted to make an appointment to come by for a cup of coffee and some catching up talk. Well, I told her we both we in the flue period, so she better wait a bit. Otherwise she might catch the bug from us~! So next week we will contact eachother again. I just went to take a look at Edna's blog and the poor thing is really in trouble! It seems her hard disk, with all her stuff on it, just died! I don't know what she will do know. She is lucky to still have her laptop, but all the things she needs for her designs and all that she made is probably gone. Oh boy, I hope her computer wizz can restore something for her.! Thta's about it for today. Oh no, I also read that Linda from http://bonscrapatitdesigns.blogspot.com/ is going to be a grandmother again. She just found out that her daughter Joan, who married just in August is pregnant. Great news! And I can understand Linda being so excited.! Now the new kit for today. It is a bit vintage looking I think. It's named "Long Time Ago" and I really liked the colours to work with. Hope it is of some use to you. Have a good day and stay away from the cold and flue bugs!!! Bug update: Slowly going better with me, Jan is a bit behind on me. You can imagine I haven't much exciting to tell you, but I can show you a thing or two I made for the challenges on Magickal Scraps. Here is some work for the letter challenges, still have to make the letter "H", but I am keeping up with it. I did a lot of work hey? If that's the result being not on your best, how much I could do then when I am feeling all tip top??? LOL. It is really fun to do these challenges, although Snowy isn't making them always so easy. There is still some work to do for me for January and February is waiting already! As we all can do with a bit of sunshine and a happy feeling I will give you this time a Springlike kit, in all happy colors/ By looking at the colors I think you already feel a bit lighter, what do you think? Anyway, here it is: "Awaiting Spring" and feel happy by it. Have a nice day, bye bye! Update on the "alien"attack, as you can call it. LOL. Yesterday I wasn't yet feeling very good, however during the evening things improved a bit. The running out of the nose stopped a bit, which was already a great relief. I spent almost all day on the computer, better to keep a bit busy for me, still will stay inside today at least. I hope from today all will improve again. But number 2 of the family caught it now! So Jan stayed in bed yesterday and slept a lot, but still today it isn;t over yet. I think we caught just the edge of the flue which seems to be bothering a lot of people at the moment. I have a lot of "administration"to do today! 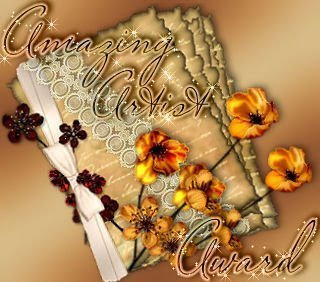 Over the weekend I got messages that I received 4 Awards!!!!!!!!!!!! o I will deal with that first. 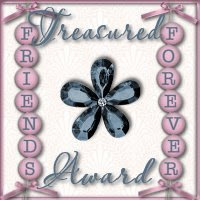 Starting with expressing my thanks to all the lovely people who gave me the awards, I love to place the awards on my blog, it gives me the feeling I am not doing it so bad at all. I am supposed to pass the awards to others and I tried it to my best. As I received it already once I will skip this time in nominating other blog. 2. Nominate at least 10 blogs ( if you haven't got 10 on your list, it really doesn't matter)which show great Attitude and/or Gratitude! What a list hey?? I am very proud of them all. As this makes the post already quit long I will just post a freebie now for you, on another day I can show you some challenges I made. This new kit will be nice for horse lovers, I gave it the name "Free Ride"and hope you will like it. Now have a very fine day and hopefully till tomorrow in again a bit better shape. It will be an"stay inside"day! This will definitely be an iside day today. Not feeling yet all to well, it;s jumping up and down all the time. Didn;t get too much sleep last night so I hope this night will be better. nevertheless I attended to the chat at Magickal Scraps last night which was as fun as last time. Only Edna was missing and nobody understood why. She always is there. But I just read a short message on her blog miss edna's place that she got a trojan worm on her computer and now is getting all back in order again. Poor thing. 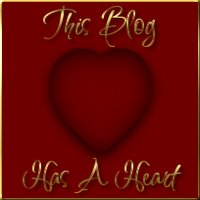 As I am not in the very mood to type a looooong post I just will give you the second part of "Just Playing Around" and hope over the weekend it will go better. Hopefully my head will work a bit wit me today, so that I can some time on the designing bit. Have a marvellous weekend, may be I skipp tomorrow on posting, just for a day. But Monday for certain I will be back. If you heard me cough now, you would have a bit pity on me! The cold is still hanging around me, sometimes I have the feeling I could fill a little swimming pool with the stuff that comes out of my nose, and so funny, for now it is only coming from one side~So you understand by this, I am not feeling all 100% but I can still stand on my feet so in a few days I hope it will be gone for the most of it. We did the shopping yesterday afternoon with Jan, so today I just have to go out for a short while to get the last things for the week-end. And I think it is a good thing to have some fresh air. This evening there is the monthly chat at Magickal scraps, and I want to attend it! It's always so much fun, the chattering from all the ladies and you know what is funny? No matter what subject we are talking about at the end we ALWAYS end up talking about FOOD! Very strange! We'll see what Snowy has cooked us to do during the chat, most of the time I just let it be and make the challenge a few days later.! I have a nice coloured kit for you today. I will offer it to you in 2 parts, tomorrow the second part will be up. I was a bit playing with textures and so and this kit was the result of it, and rather obious I gave it the name "Just Playing Around". In both parts you get some of the papers and elements. I even tried out a kind of overlay, it's the white looking paper, it's more a kind of embellishment for some papers, if you like to. Just four corners. No idea if that really works! For now I wish you a very nice day and come back tomorrow for the second part of the kit to have it all complete. Well, Mediafire took its time to work again! As it took too long and I had to upload a new freebie I made an account on 4 shared, just to have an extra in case this happens again. I will not be using it often, but have to pay attention to it that every month I log in, otherwise the files are lost. Then I uploaded a lot of stuff for Magickal Scraps yesterday. Had to upload the Daily downloads for February, the colour challenge for January and a project we do each montch, it's the Kitchen project. So the parts for January are uploaded too. Then I made another kit yesterday, all that with the bit of cotton feeling head. It is better today already, but I think the "liquid running time"has started now. All the time I have to stop to empty my nose. But I will suvive that, I hope. Jan and I planned to go to a supermarket yesterday to get some "stock"but I didn;t feel up to it, but I hope to go today. It better can be done, isn;t it? So you can imagine not much interesting happened yesterday. As I was not in an active moood, Jan suddenly got a bit the spirit. We have here two "old"big tape recorders, still working fine. One is here in the room and then one was standing in a bedroom for years. Jan took it out and tried if all still was working. No problem at all. He met an older man in the cafe who ownes a lot of big tapes, but doesn't have a taprecorder anymore to play them. So Jan suggested we give him the one, we don't use. I agreed, why let it collecting dust? And if we can make somebody happy with it, it has a better place at his home. Now only it has to be cleaned a bit and one more item is gone finally! I brought in as we went living together a lot of stuff from my mother, and had a lot of myself too! We are still using a lot of that, and Jan and I always say to eachother:"you know what? We don;t have a lot of money, but loads of stuff!". And that is true. If anybody is in need of something they better come over to ask if we have something to spare, and very often we do have it. I have many things double, or even triple! And lots of things justin a draw or room and collect only dust. But I have trouble to just throw it away. Always have in mind that may be we need it one day or we can help somebody with it. It's NOT the way to empty a bit your house, LOL!! I have nightmares sometimes when I think one day we might have to move from the house and what a work it will be to pack it all in boxes!! Aweful!!! And I know what it is, to move, because I have moved around already 7 times in my life. More than enough I think! Well, on to the kit. It's a bit vintage looking one, orientated on... Paris, therefore I named it"Oh lala, Paris!". Hope the downloading will go okay on 4-shared. Have fun with it, I hope and have a great day.! Yesterday Mediafire was out of the air, due to maintenance. I wanted to upload something this morning but it still is on maintenance. It's very annoying. I can understand they have to do it from time to time, but surely, it could take a bit less time. So if you still cannot get downloads I think you just have to be patient and try it later on again. I surely hope it will be done with during the day, cause if that takes too long I will have to look foranother uploader. There are some, but I liked Mediafire as best. We will see how long they will take to be "back"again. I think I have caught a bit of a cold. Not that I feel really sick but yesterday evening I felt coming up a bit of a soar throat and nose was filling up. This morning all the nose was "closed", still the throat not as usual, but the nose is loosing it's filling, LOL! It is the time of year to catch it, but I could do without it. I hope it will be just a one or two days attack and that it will not end up in a small flue. I surely am not looking forward to that! When I was shopping yesterday I bough ta garden magazine, I now and then cannot resist buying. Looking it in it gives you already an idea of early Srpring and a little itching started already.Yeah, seeing the pics of some early bulbs coming to bloom and some ideas for the garden the garden virus is already trying to attack you. But that will have to wait still for a few weeks I think. With about 4 or 5 degrees C above zero , I am not exactly trampling at the kitchen door to start gardening!! Now the kit for today. It's a another soft pastel one and has the name of "Lost in Time".Hope you will like this and surely hope downloading will be possible soon again! Little bit better for now. Well, have to say that temperature is a tiny little bit better since the weekend. Not that you can go out without a sweater and warm coat, but the freeze cold is a bit moving away. Only nasty thing zout it that rain is coming back. But I don;t complain, hear me! I just received an emial from Australia, there they have about 41 degrees C, it may be a bit too much, but I am JEALOUS!!! LOL. Didn;t do too much yesterday, finished of a kit and picked out a colour scheme for the next one. Not really sure what it will be, but mostly it turnes out this way: I try to have a vague idea first, or I start just to pick a nice colourscheme, and start making the papers. And by doing that the idea grows for a theme and I can go on with all the other parts. I think, I must have sometimes a very strange way of working, but who cares, as long as it works for me! Today is my running around day again, which means so much as doing shopping to fill up the fridge and freezer again a bit. God Bless the one who invented the little shopping cars, hey, hey.! Oh, I just felt that somebody was starring at me, and as I looked away from the keyboard I saw I was right. Brodski, one of the red cats, was sitting with a very sad "face"not far away, looking at me with the expression of "don't you see me, I am here and I want some attention, because I am a sooooooo pityful cat, who doesn't get much attention, I want to be cuddled"!!! Pets are very good at this!!!! And as he doesn;t get my attention, he is frustrated and then he looks aroud for the little one, Michey and runs to her and stands still just in front of her, groaning and staring. The little one doesn't like that and starts hissing at him and mostly it ends in giving eachother some blows and then I must get up, to give a shout to Brodski, who runs then with a big speed outdoors. Lovely, those pets, who are sooooo selfsupporting and quiet(most of the time). LOL. Okay I have done the arbitrage stuff, for the moment all is peaceful again. Today I have a light coloured kit for you, more in romantic style, rather versatile to use. Now I will post it, and have a little time left to start perhaps the basis for the new kit and then I first have to go out. Oh, another freebieforum just got birth too. There are a few who look a bit similar to it, but registration is free and for designers it is always good to spread their work as much as possible and for freebiehunters it is a nice way too, to get specific things you are looking for. It is started by Franny from Picklebeans, I give you the link, why not register for free and use the opportunity? Go to the blog, and just click on the left sidear on top on the blinkie for the Scrapbook freebie forum, http://picklebeans.blogspot.com/. Okay, that said I wish you a terrific day! Still too cold for me here ! Still too cold for me, yes! I know, lots of people are very ethousiastic about winter, but as age is growing I like it less and less. Nver was my favourite season though! We are still the fortunate ones here on the coast, at least there is no snow. But I think it lasted long enough for me now. I know, I am nagging about it lately, well, now I have it of my chest, I will try not to mention it anymore(at least for a few days hahahah). Yesterday was the last day of the speed skating, for the moment, and we have a Dutch European champion with the men, Sven Kramer, and a thrid place too, for Wouter Oldeheuvel. Whoopee!! Pitty, with the women they didn't have that good succes, but all four performed still very well. Now in about 2 weeks time there will be the World Championships speed skating allround in Hamar. And there will be some Americans to deal with and if I am right some Canadians too.! During the broadcast I was strong and pulled out the ironing board and did all the ironing. In between a new wash turned in the machine, so it was even a productive day! And I almost finished a new kit. Well done isn;t it? Have fun with it, and make the best of this first day of the new week. Then I remind myself it's a Sunday, and that is weekend and then we can take it a bit easy. Not much going on here still. I can show you some things I made for the forum, although it also doesn;t go quick enough. Still must think some things out for challenges, but I made one again yesterday. It was one for the Book of Shadows challenges this time the theme was Imbolc. Strange word to me, so I had to read about it on the forum, where Snowy gave us a very good explanation of it. I copied it so that you can get familiar with it too. This month we do a layout about Imbloc. Strange word? Here you go ,some education.Imbolc (pronounced 'im'olk' also known as Oimelc) comes from an Irish word that was originally thought to mean 'in the belly' although many people translate it as 'ewe's milk' (oi-melc).Imbolc was one of the cornerstones of the Celtic calendar. For them the success of the new farming season was of great importance. As winter stores of food were getting low Imbolc rituals were performed to harness divine energy that would ensure a steady supply of food until the harvest six months later.Like many Celtic festivals, the Imbolc celebrations centred around the lighting of fires. Fire was perhaps more important for this festival than others as it was also the holy day of Brigid (also known as Bride, Brigit, Brid), the Goddess of fire, healing and fertility. The lighting of fires celebrated the increasing power of the Sun over the coming months. For the Christian calendar, this holiday was reformed and renamed 'Candlemas' when candles are lit to remember the purification of the Virgin Mary.Imbolc is still a special time for Pagans. As people who are deeply aware of what is going on in the natural world they recognise that there is strength in cold as well as heat, death as well as life. The Horned God reigns over the Autumn and Winter and and although the light and warmth of the world my be weak he is still in his power.Many feel that human actions are best when they reflect the actions of nature, so as the world slowly springs back into action it is time for the small tasks that are neglected through the busy year. Rituals and activities might include the making of candles, planting spring flowers, reading poetry and telling stories.Bride with her white wand is said to breathe life into the mouth of the dead Winter and to bring him to open his eyes to the tears and the smiles, the sighs and the laughter of Spring. The venom of the cold is said to tremble for its safety on Bride’s Day, and to flee for its life on Patrick’s Day.Bride stands for Brighid- St. Brighids Day , so as you can see many Christian Saints even have been taken over from pre-christian times.This is a challenge not just for Pagans/ Wiccans, because no matter what faith you are, you can create a layout which shows or describes nature at this time of year or any of the mentioned above and maybe give the layout a nice decorative tiltle or quote /poem you like. Or dig deeper into the history of this day and do a search and see what inspiration you get from it. If you click the picture you get a better view. And now the freebie today. I am sure it will not be to the taste of many, but I was curious to see what I could make in a Gothic style. It's of course, in darker colours, a bit strange and even scary it may be, but it was fun doing something all different. So here is "Gloomy Mood". Tomorrow I will have an all different kind of thing, which I am sure will appeal to a lot of, regarding the theme I chose!!! Hahahaha, curious???????????? It should have been a short post, but with all the Imbolc explanation, it gave you something to read, hey? Have a very fine Sunday and pop in again tomorrow! It will be another speed skaiting day! It started already yesterday, the European Championships speedskating. So there are interesting skaters to watch. It;s held in Heereveen, in the north of the Netherlands, and it's a track under roof. And it's always completely filled with enthousiatic speed skating lovers. Of course we hope that our best skater, Sven Kramer will be the champion, and perhaps with the women we have a nice chance too. It seems to be a rather cold day today, it stays a few degrees below zero, but they told on the weather forecast that it could feel much colder because of a nasty blowing wind. Well, may be I just will pop out for a moment, it depends on the mood I suppose. Jan is having a cold now, just not the flue, but his head is full and he is sniffing and all that kind of thing. But it is coming out a bit now, so in a few days I hope it will be gone again. Now just hope I will not catch it from him!! Well, on to the new freebie. It's another pastel coloured one, in a bit romantic style, named it : "Imagine the Dreams". As I found a little program that converts abr files to png's I can use in my graphics program also Photoshop brushes. And I found so beautiful ones. So now I am playing with that a bit. It's fun! I wish you all a happy weekend and try to scrap a few Christmas and New years pcitures, otherwise they will linger too long, hahahaha. Thanks to all leaving me the wishes for my birthday.! It was a VERY quiet day, but I didn;t mind. I had the chance to spent a lot of time at the computer, which I like doing most. Now we can go on running our "normal"life again. As you can tell there isn't too much to tell, so I will post the freebie for yoy, do some bloghopping and try to get productive on the designing. I am a bit behind on all the challenges. Well, I know, it;s almost not to do, to do them all. But it''s such fun to do. And always trying to come up with new kits, that's going on too.! Sometimes I get somewhat stuck on ideas, or even too much in the same colors or kind of themes too much. That is something wo watch, always must try to "refresh"it. It's an award and I think this is a great one! Today's kit is completely opposit of yesterday's and the one before that. This is a fantasy kit, may be I was inspired by the Magickal scraps forum, I don;t know, but I named this kit Magical Mystery. 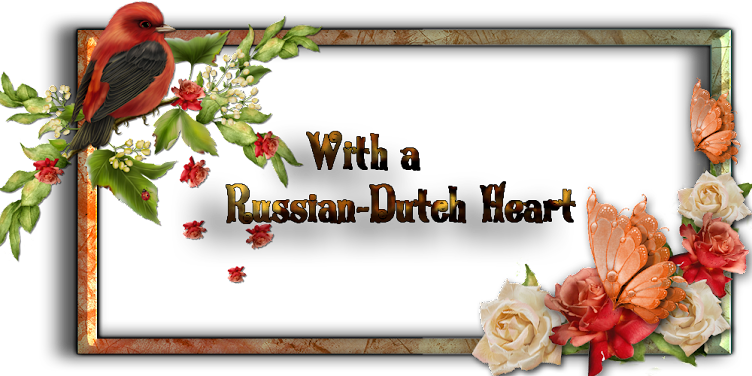 I hope you do like it, although it might be harder to use for the scrapping. Well, in that way I keep your brains working as well, LOL!!! Growing older and older, ooops! Gosh, did Jan and I work HARD yesterday!!! We got rid of all the Christmas stuff, cleaned the room from dust and hoovered and I even sorted out a bit the stuff I had. Now I have a bag full of Christmas decorations, which were in the boxes for years without using it and that will go to the school of Séverine. I heard from Heidi, that they could use lots of things, so I hope they will put it in a closet waiting to be used this Christmas(still FAR away). I am happy we did it all, but it looked a bit weird, all of a sudden I had a mch bigger room. LOL! After that I felt a bit broken in the back, but I was pleased to have done it. And today is a little bit out of the ordinary day. Yes I better tell you, it's MY BIRTHDAY, can you imagine?? I reached the admirable age of .................???????????? ........ 56! Oh boy, are the years going fast or not?? I have to admit that at some times I feel like that age and even much more, but in general I just don;t realize it and the mind get stuck somewhere in my 30's LOL. We are not doing anything special today, although I will make a real nice dinner for us, I think I will make big shrimps in a marinade and perhaps a nice potatoe salad to it. And then we will quickly forget about it( although I will not have the chance, because Jan will remind me the coming 3 weeks of the fact, he is married to an OLDER women!!!). Yes, he has his birthday exactly 3 weeks later, so once a year he has the chance to tease me with it, oh he can be soooooooo bad, LOL!! Today I have the last color kit for you, Viola, colore dell'Ispirazione or Violet, color of the Inspiration. Had to give it some title, isn't it? Hope you will like it, and have all a very nice day! I hope to accomplish a lot on the computer today, but you never know how it turns out. We'll see about it. I will just try to be short, because a lot of work is waiting for me today. I could have started already, but I better wait a bit till Jan gets up(he is taking a longer sleep in the morning because often he sleeps not well during the night lately) and he brings me all the boxes. Then I can take all Christmas stuff off and right away into the boxes. Tomorrow it will be actually be a day just for me!!!! Why??? Hahahaha, perhaps some of you will know, but I am not telling it. Tadaaaaaaaa. I keep it a secret. I must not forget to put a little light on in front of my home-icon, because today is my father's birthday. And when I lut on the light I always look at his picture and wish him a happy birthday. Perhaps a bit funny, because he passed away already so long ago(this year it will be 19 years!) but I never forgot a year. For a moment I am always a bit sad, but then it passes away quick, it's part of our lives, isn't it? I finally managed to pay a visit to Heidi yesterday, it was nice, she was home all alone, so we could talk about anything. After all the holidays she was a bit tired, but it was good to see she looked much better than a while ago. Not having to go to work is doing her good, and probably she will give up her work totally this year. It will be much better for her, because it gave her a lot of stress, the atmosphere on her work wasn't so nice anymore and it played also a big roll on her health. Oh, I have something extra for you. We have a calendar challenge on Magickal scraps and I have the January part of it. I give you the preview and under it is the link to the big JPG picture and you can then click right and save it as on your computer(I hope). I am a tiny bit late with it, but okay it's the idea that counts, hahaha. So now quick to the freebie today, it is my Valentine kit. Yes I am offering it early, but I already saw on many blogs they started with it. I must give credit to Adelina from http://adelinascrap.blogspot.com/ for the terrific bows, she offered as a commercial use freebie on her blog. I tried to make it a bit different from the usual, you know all pink and or red. I kept it in soft colors, and hope you will like this style too! All of you, have a splendid day and enjoy it, okay? Blink, blink, I have a BLINKIE!!!! is such a sweetie, she made me my personal BLINKIE!!! Look right at the side bar on te top and it blinks! She even made it fitting the blg layout. Wow, and if you click on it it takes you to my blog. I am proud and thankful even more, for such nice friends in scrapland! And you know what? She told me she had joined the Magickal scraps forum. There we should have fun! Then I had some fantastic mail from Australia, where happens to be also a "fan"of my blog, so if I am not answering already today, hereby thank you Judy for the lovely things! I am not blessed to have met some wonderful scrapping nutties (just like me, hahahaha) who are feeling like friends? Thanks girls, for being so kind to me. The ones concerned will know who I mean.You deserve more than a big hug.! I told you yesterday I will be busy today, so I really must hurry up a bit. Here is the new kit in the colour range for you, I think there is still one to go after this one, but you know me, perhaps I roll in on another one. This one could be very nice for Valentine, regarding the colour! The kit is named Rosso, Colore d'Amore which is of course Red, color of Love! Have a nice scrapping and a happy day! Somehow I have to cut it down, but I don;t see how!! I am far too much busy with all the designing and challenges and mails, in short my computer. But it's such a nice thing to do and I love it. But I have to get still a bit more organized in it, somehow. Whoo, I almost finished the previews for the daily download we have also in February on Magickal Scraps, and we receives the numbers and title for it from Snowy and now I have to put the titles on and then upload them to the account for it. Hey, Snowy is putting up a slide show ffrom all the previews so when that is up I will tell you, so you can have a look. Because the parts for the daily downloads will not be available on my blog! So if you like to have them and also the other parts from the other designers(some beautiful contributions, believe me!) you'll just HAVE to subscribe for free to the forum. Poor Snowy, who is doing all the work for it, making accounts, titles, slideshows and then ALL the other stuff she is designing and participating too. She does a really great job! Oh I just can show you my contribution to the letter challenge, this if for the F.
Oh boy, what a mess with the download of the yellow kit. I don;t know what went wrong, but yesterday I spent another half hour or so on removing the zip out of my archive, rezipping the file again, uploading it again to mediafire, removing the old, of course, still nothing, done it again, well after a while it suddenly worked as it should I hope it stays that way. Hopefully there is nothing wrong with today's download. It's a rather dark one today, it's the blck colour, banemd Nero, Colore della Notte, = Black, colour of the Night. It surely can fit some pictures, or perhaps you can mix it with some stuff from the other colour kits. I am a little bit in a rush, have to do quit some things, have to go out also for a moment, boy, busy, busy, busy. Then Wednesday is a yippee day, so not at all!!!!!! Then I have to clean up all the Christmas stuff and get the room in normal outfit again. Brrrrrrrr. Okay, not too much to say I better go on with all I have to do. There is a MAGICKAL birthday today! HAPPY BIRTHDAY SNOWY WITH A BIG HUG!!!!!!!!!! I left you without a freebielist yesterday, isn't it??? I was sooo busy on the computer with several kits, and making previews and all that that I completely forgot about it! Just as I was watching tv yesterday evening, later on the evening already, it popped into my mind. Hereby my sincere appology for not putting it up! At least I have a new kit for you, today. It's Verde, Colore della Natura, = Green colour of nature. That is something and I will really try to make the list today! For more exciting news you are on the wrong address, LOL. It was a very ordinary day yesterday, and really nothing happened. So I suppose this will be all for today, no reason to ramble on with nothing catching to write, hey??? Have all a great Sunday and enjoy it to the full! Ahhh, just a few more days. Everybody completely filled up because of the holidays and completely exhausted? Then it's about the right time to get back into normal life again and start the new year! LOL. For me each year starts with a terryfing look ahead which is only for a few days, because then I get a year older! And it's so near the start of the blank year, poor me LOL. I am not really worrying about that, you know. Everybody get's a year older, but sometimes you are a bit frightened about the speed that process is going on! I think we'll let the birthday pass by rather silently so I will not realize it too clear, hahahaha. It was a normal day yesterday, had to do some shopping to fill up the fridge again a bit, and I didn't do very much else, I think we take this week-end as a extension from the holidays , so easy and smoothly not at once starting to rush around the house, having a cleaning madness and so on. LOL. I hope to pay a visit to Heidi and family to wish them a happy New Year, because we didn't pass New Years eve at their home as you know. So not much going on for the moment, still busy every day with kits and challenges, and here I have your new kit: "Marrone, Colore della Terra" which means Brown, colour of the Earth. Have fun with it and off we go again. !